Good luck to everyone who opted in to the ballot. After completing her A Levels, this Autumn Kira will join Texas Tech to further her tennis career. Everyone at the club congratulates her on a huge step forward and wishes her the best of luck as she aims to conquer the world! A wonderful mornings tennis (and a few glasses of fizz) culminated in Babs and Mandy walking away with the trophy. This year’s Trophy was won by Helen with a small amount of help from her son Harrison. Congratulations to them both. After a tough afternoons tennis in the hot summer sun (helped by quite a bit of liquid! ), the final was contested between Fraser & Tony and Brendan & Howie. Both teams fought hard but after a close set, and huge support from the sidelines, Brendan & Howie came out on top. Only four enthusiastic players turned out for this years tournament. Despite this, and against the wishes of some of the participants to play best of five sets (! ), one full set of tennis was played to decide this years winners. A good set of competitive tennis was played, with the lead going backwards and forwards throughout. Finally Bridget and Bruce came out on top. Unfortunately there are no pictures from this great afternoon. This is predominantly due to the fact that as well as the tennis that some people were playing everyone was thoroughly enjoying the strawberries and wonderful home made cakes that were brought along. A great tournament was played in some wonderful (if hot) weather. After some hard fought matches Mel finally came out on top. A great tournament was held in some wonderful weather. A random draw for partners created a very strong pair in Mel and Patrick. Despite some valiant efforts to defeat them, they held off all comers to take the trophy. Another successful Open Day was held at the club today. Many people turned out to have fun in the sun. The vast majority were existing members but that didnt dampen enthusiasm. We encourage new members to join us but certainly dont stop existing members turning up and having fun together. Junior coaching started today with plenty of children turning out. 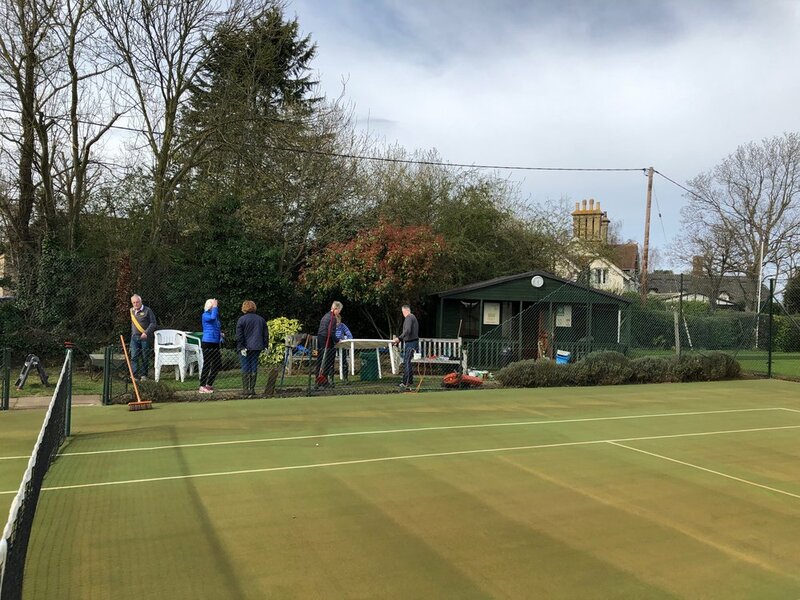 A good number of members turned out this morning to spruce up the club ready for the season. Remember, the more turn out the more we can get done to ensure we continue to have a club that it is the envy of many of our visitors. 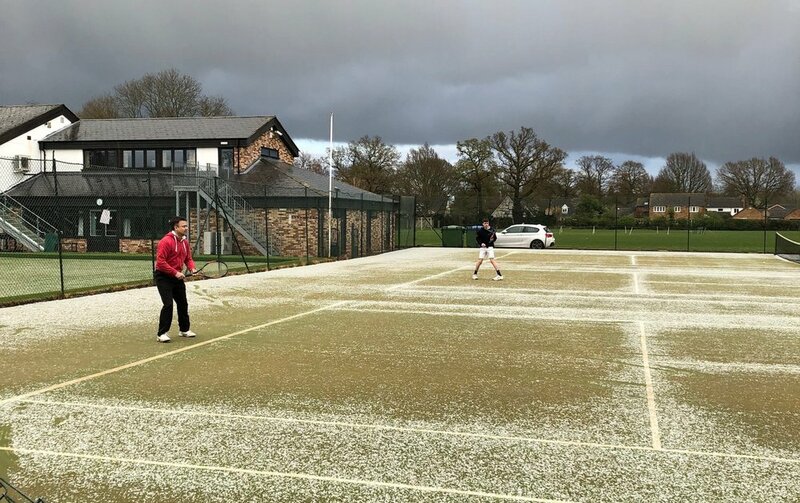 After the washout of the first date for the Stella Tournament in May, the event was held on 2nd September. As with previous years it was a very sociable event with a healthy amount of Stella (lager and cidre) being imbibed. After a random draw for partners a very close tournament ensued. And, after a nail biting finish to the last couple of matches, Tony Barabas and Bradley Young came out victorious. For those that narrowly lost out (Shep!) some additional practice is required in the ensuing year. A very nice day on court unfortunately saw a smaller than usual turnout for this years mens doubles tournament. 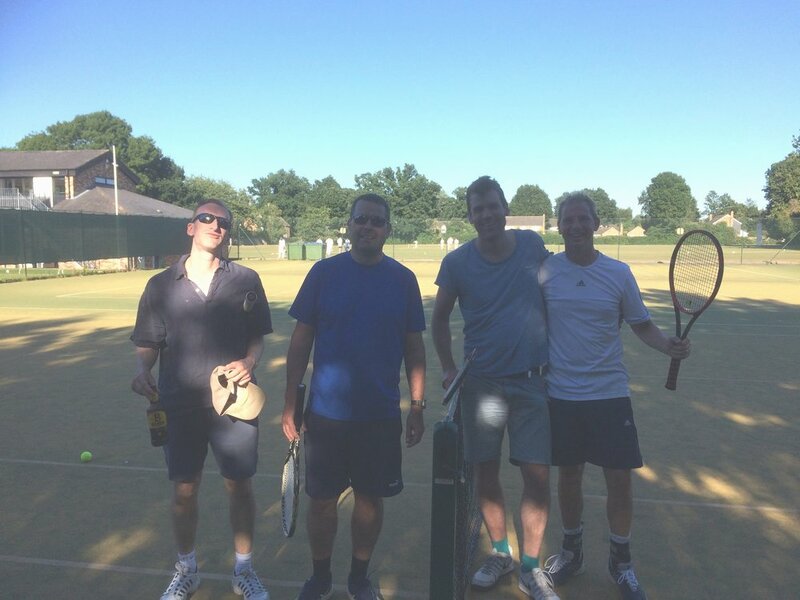 However, a very determined set of four gentlemen contested a well fought final with two new tournament winners taking home the spoils. Congratulations to Alex Ensor and Paul Smith. Shown below (and soon to be posted on the outside of the clubhouse) is the court usage for this year.